The Grateful Dead with Pigpen were a different band than without. Of course, the Dead went through several personnel and style changes over its time. The Dead themselves were not always the instigators of those changes. The blues-based approach Pigpen brought to the band gave it much more a rock and roll feel than any of the band’s other incarnations. Unlike most other of the young musicians of the 1960s, Pigpen came to the blues mainly through his father. Phil a blues enthusiast himself and a DJ on station KDIA, a black radio station. Rod taught himself piano, guitar and harmonica. When he moved with his family to Palo Alto, California he befriended Jerry Garcia. Rod also collected a huge number of blues 78 recordings which also led him to befriend John Fahey and future Canned Heat singer Bob “Bear” Hite. Along the way Rod McKernan became Pigpen. How depends on who you ask, but answers are many offered lovingly. Pigpen entered Jerry Garcia’s musical orbit and became part of that orbits named permutations: the Zodiacs, Mother McCree’s Uptown Jug Champions, the Warlock, and finally the Grateful Dead. 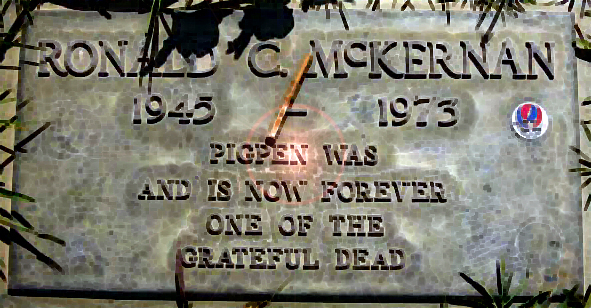 Perhaps a much an indictment of the other members’ weak vocals as a compliment of his, Pigpen became the Dead’s main vocalist. For fans like me, his renditions of Buddy Holly’s “Not Fade Away” or his half-hour plus “Turn On Your Love Light” will always be his songs. Unlike the other members of the group, Pigpen’s drug choice was alcohol. That choice also endeared him to Janis Joplin who preferred beverages to blotters. As the Dead moved into more extended jams that relied less on keyboards, Pigpen’s place in the band diminished, though his reliance on alcohol did not. Pigpen’s health declined and he had to leave the band to recover. His hiatus was between August and December 1971. For a band that seemed to be always on the road, he missed many shows. Health issues again forced him to leave the band. His last show with them was on June 17, 1972, at the Hollywood Bowl, in Los Angeles. On March 8, 1973, aged 27 he was found dead of a gastrointestinal hemorrhage. A sad addition to the 27 Club. 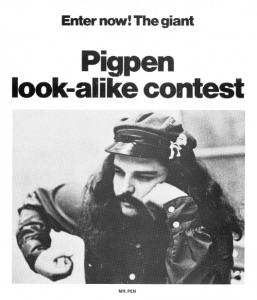 Next time you have 33 minutes and 41 seconds, give Pigpen a listen (again). 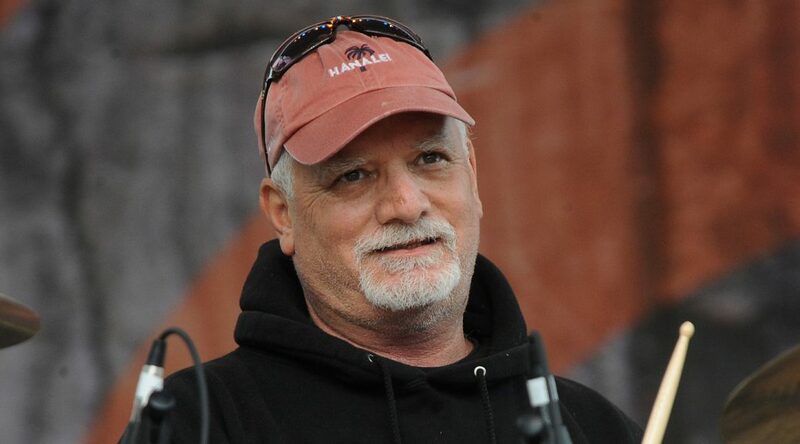 William Bill Kreutzmann was born on May 7, 1946 in Palo Alto, California. Despite early criticism, Bill loved playing the drums. Before he was legal, he, Jerry Garcia, Phil Lesh, Bob Weir, and Ron “Pigpen” McKernan formed a band. Of course that band evolved into the Grateful Dead. Later Mickey Hart joined the Dead and he and Bill (“the rhythm devils”) drove the Dead’s beat. Though there were sometimes solos during a show, it was never about an individual. Jerry Garcia may have been the axle of the band’s wheel, the band it was greater than the sum of its parts. Robert Hunter knew of what he spoke when he said in “Truckin'” What a Long Strange Trip It’s Been. That, of course, is a shibboleth for the Grateful Dead and many of the bands that the 1960s produced. 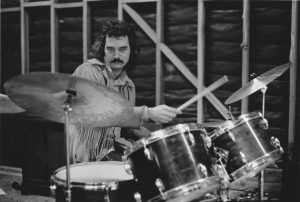 Bill Kreutzmann was there for all the Dead’s shows. The good and the bad. The ethereal. The cosmic. The high and the low. He and Benjy Eisen wrote about it in Deal: My Three Decades of Drumming, Dreams, and Drugs with the Grateful Dead (2015) [NPR article]. The book begins with a story about Jerry Garcia and Bill going scuba diving in the late 80s. Touch of Grey, the Dead’s only big commercial hit. Like anything that brings public attention, Touch of Grey brought the good and the bad. Scuba diving in Hawaii seemed like a good place to get away from it all. No drugs. No attention. Turn off your mind, relax and float down stream. Then a scuba instructor swam up to Garcia with a waterproof notepad and asked for his autograph. 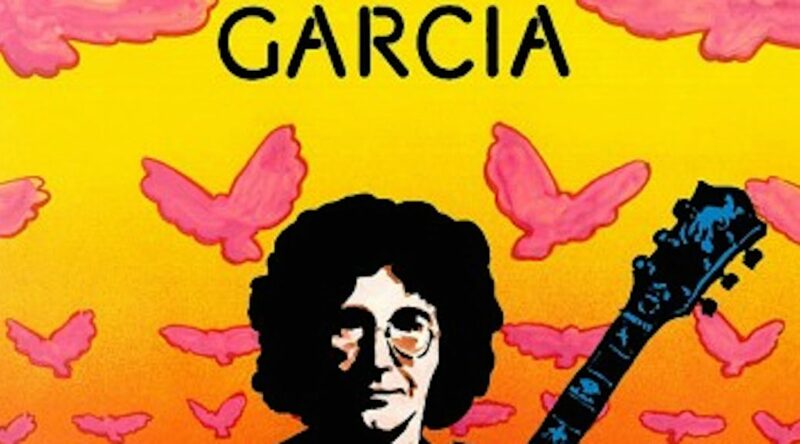 When Garcia died in 1995 [NYT obituary] the Grateful Dead did, too. Without Jerry, the axle gone, the band could light a spark, could start a fire, but never burn as brightly as those previous 30 years. Of course Bill Kreutzman has continued to play music. It is, it was, and always will be what his life is about. He had helped form bands (The Other Ones, The Dead, The Rhythm Devlis, 7 Walkers, and most recently, Billy & the Kids) and has sat in at concerts (with Journey, Warren Haynes, Phish, David Nelson Band among others). 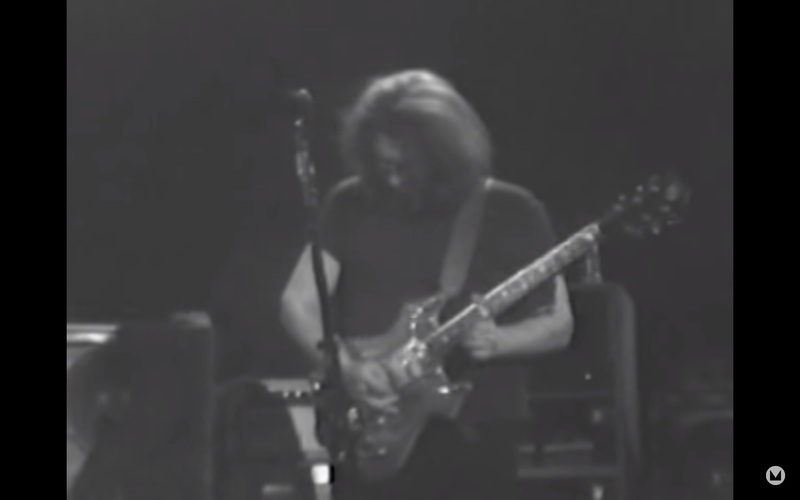 In 2015, a Grateful Dead formed to perform a series of concerts commemorating its 50th anniversary. Bill Kreutzmann, of course, was there and wanted more. This summer, Dead & Company are touring and Bill is right there with them.